Basketball is counted among the highest paid sports in the world. The yearly salary that is offered to the players when they play for the teams in the National Basketball Association puts them in the same level as the athletes of other sports, along with the amounts they receive from the endorsements, helping them earn huge cumulative income every year. Basketball players are no less than the Hollywood celebrities, as they are featured in commercials as the brand faces, and this not only increases their popularity among their existing fan bases but also among the new generation of basketball fans. The legendary players of basketball, such as Michael Jordan and Kareem Abdul-Jabbar became the faces of some of the biggest brands in the world, and, besides their salary as players, their annual income is boosted by endorsements. 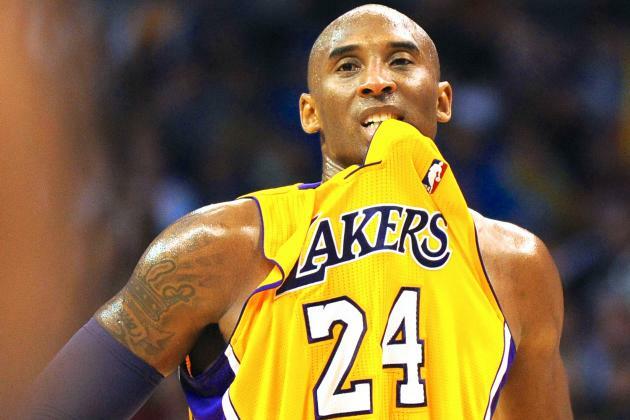 The new players like Kobe Bryant and LeBron James also make huge amounts. 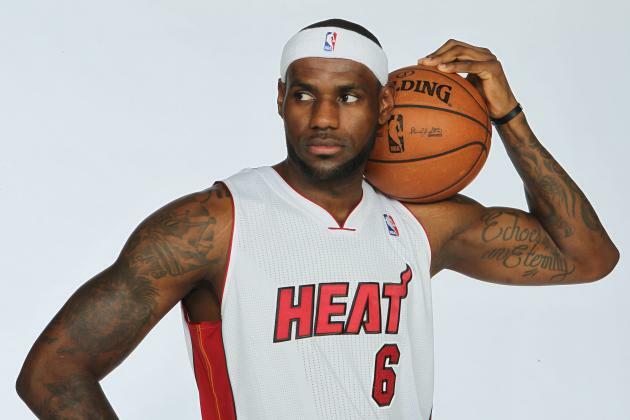 Let’s take a look at the Top 10 Highest Paid Basketball Players 2015. Kobe Bryant is presently playing as a shooting guard in the National Basketball Association for the Los Angeles Lakers team. He was drafted as the 1st round 13th overall pick by the Charlotte Hornets in the 1996 NBA Draft. He is now having a NBA listed height of 6 feet 6 inches and listed weight of 212 lbs. Kobe Bryant earned $30.5 million salary from the team and $34 million from various endorsements which cumulatively earned him a total of $64.5 million in the 2013-14 season of National Basketball. The team reserved him with the Bird Rights for the current season. As per the recent statistics, Kobe Bryant will earn $23,500,000 yearly salary in the 2014-15 NBA season and will also earn $25,000,000 yearly salary in 2015-16 NBA season from the team. He is also having a guaranteed income of $48,500,000 in the upcoming seasons. LeBron James is presently playing as a forward in the National Basketball Association for the Cleveland Cavaliers team. He was drafted as the 1st round 1st overall pick by the Cleveland Cavaliers in the 2003 NBA Draft. He is now having a NBA listed height of 6 feet 8 inches and listed weight of 250 lbs. LeBron James earned $19.1 million salary from the team and $42 million from various endorsements which cumulatively earned him a total of $61.1 million in the 2013-14 season of National Basketball. 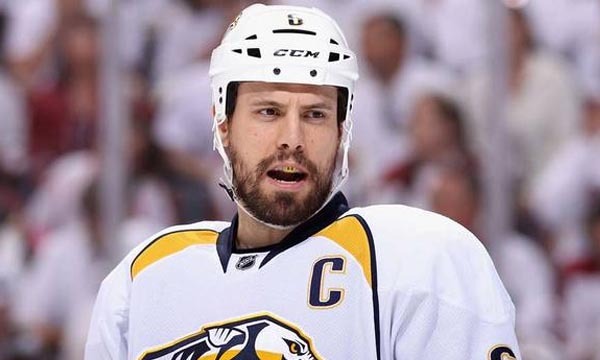 The team reserved him with the Cap Space for the current season. As per the recent statistics, LeBron James will earn $20,644,400 yearly salary in the 2014-15 NBA season and will also earn $21,573,398 yearly salary in 2015-16 NBA season from the team. He is also having a guaranteed income of $20,644,400 in the upcoming seasons. 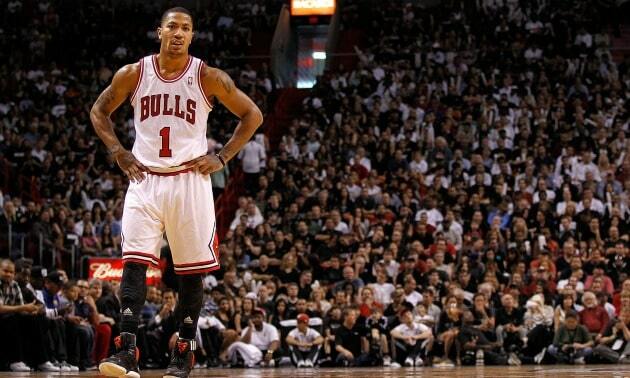 Derrick Rose is presently playing as a forward in the National Basketball Association for the Chicago Bulls team. He was drafted as the 1st round 1st overall pick by the Chicago Bulls in the 2008 NBA Draft. He is now having a NBA listed height of 6 feet 3 inches and listed weight of 190 lbs. Derrick Rose earned $17.6 million salary from the team and $21 million from numerous endorsements which cumulatively earned him a total of $38.6 million in the 2013-14 season of National Basketball. The team reserved him with the Bird Rights for the current season. As per the recent statistics, Derrick Rose will earn $18,862,875 yearly salary in the 2014-15 NBA season and will also earn $20,093,063 yearly salary in 2015-16 NBA season from the team. He is also having a guaranteed income of $60,279,188 in the upcoming seasons. 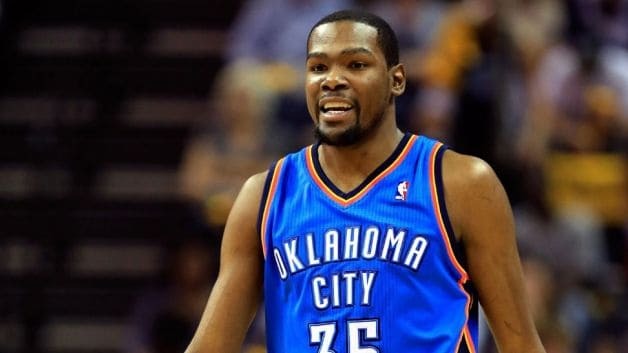 Kevin Durant is presently playing as a forward in the National Basketball Association for the Oklahoma City Thunder team. He was drafted as the 1st round 2st overall pick by the Seattle SuperSonics in the 2007 NBA Draft. He is now having a NBA listed height of 6 feet 11 inches and listed weight of 220 lbs. Kevin Durant earned $17.8 million salary from the team and $14 million from various endorsements which cumulatively earned him a total of $31.8 million in the 2013-14 season of National Basketball. The team reserved him with the Bird Rights for the current season. As per the recent statistics, Kevin Durant will earn $18,995,624 yearly salary in the 2014-15 NBA season and will also earn $20,158,622 yearly salary in 2015-16 NBA season from the team. He is also having a guaranteed income of $39,154,246 in the upcoming seasons. 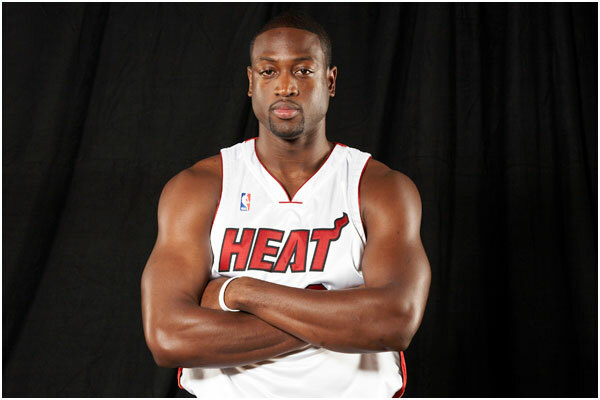 Dwyane Wade is presently playing as a guard in the National Basketball Association for the Miami Heat team. He was drafted as the 1st round 5th overall pick by the Miami Heat in the 2003 NBA Draft. He is now having a NBA listed height of 6 feet 4 inches and listed weight of 220 lbs. Dwyane Wade earned $18.7 million salary from the team and $12 million from various endorsements which cumulatively earned him a total of $30.7 million in the 2013-14 season of National Basketball. The team reserved him with the Bird Rights for the current season. As per the recent statistics, Dwyane Wade will earn $15,000,000 yearly salary in the 2014-15 NBA season and will also earn $16,125,000 yearly salary in 2015-16 NBA season from the team. He is also having a guaranteed income of $31,125,000 in the upcoming seasons. 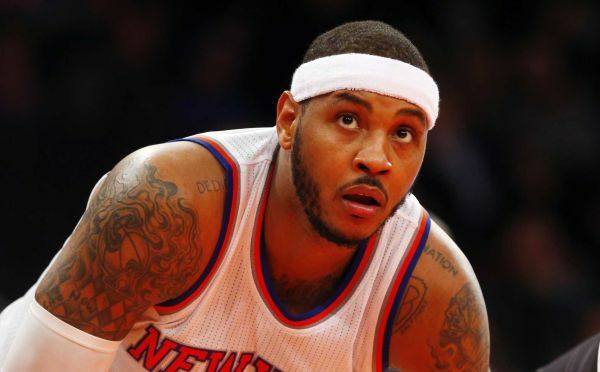 Carmelo Anthony is presently playing as a power forward in the National Basketball Association for the New York Knicks team. He was drafted as the 1st round 3rd overall pick by the Denver Nuggets in the 2003 NBA Draft. He is now having a NBA listed height of 6 feet 8 inches and listed weight of 240 lbs. Carmelo Anthony earned $21.4 million salary from the team and $9 million from various endorsements which cumulatively earned him a total of $30.4 million in the 2013-14 season of National Basketball. The team reserved him with the Bird Rights for the current season. As per the recent statistics, Carmelo Anthony will earn $22,458,000 yearly salary in the 2014-15 NBA season and will also earn $22,875,000 yearly salary in 2015-16 NBA season from the team. He is also having a guaranteed income of $96,136,140 in the upcoming seasons. Amar’e Stoudemire is presently playing as a power forward in the National Basketball Association for the New York Knicks team. He was drafted as the 1st round 9th overall pick by the Phoenix Suns in the 2002 NBA Draft. He is now having a NBA listed height of 6 feet 10 inches and listed weight of 245 lbs. 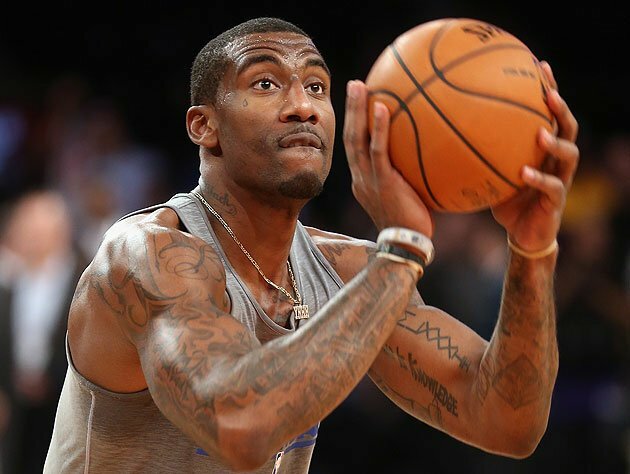 Amar’e Stoudemire earned $21.7 million salary from the team and $6.5 million from various endorsements which cumulatively earned him a total of $28.2 million in the 2013-14 season of National Basketball. The team reserved him with the Bird Rights for the current season. As per the recent statistics, Amar’e Stoudemire will earn $23,410,988 yearly salary in the 2014-15 NBA from the team. He is also having a guaranteed income of $23,410,988 in the upcoming seasons. 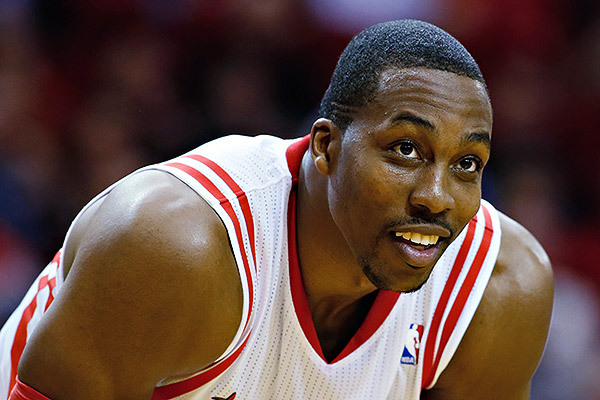 Dwight Howard is presently playing as a Center in the National Basketball Association for the Houston Rockets team. He was drafted as the 1st round 1st overall pick by the Orlando Magic in the 2004 NBA Draft. He is now having a NBA listed height of 6 feet 11 inch and listed weight of 265 lbs. Dwight Howard earned $20.5 million salary from the team and $6 million from various endorsements which cumulatively earned him a total of $26.5 million in the 2013-14 season of National Basketball. The team reserved him for the Cap Space for the current season. As per the recent statistics, Dwight Howard will earn $21,436,271 yearly salary in the 2014-15 NBA season and will also earn $22,359,364 yearly salary in 2015-16 NBA season from the team. He is also having a guaranteed income of $43,795,635 in the upcoming seasons. 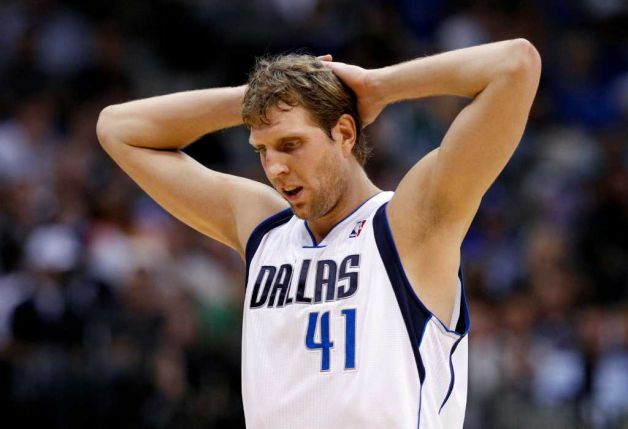 Dirk Nowitzki is presently playing as a power forward in the National Basketball Association for the Dallas Mavericks team. He was drafted as the 1st round 9th overall pick by the Milwaukee Bucks in the 1998 NBA Draft. He is now having a NBA listed height of 7 feet 0 inches and listed weight of 245 lbs. Dirk Nowitzki earned $22.7 million salary from the team and $500,000 from various endorsements which cumulatively earned him a total of $23.2 million in the 2013-14 season of National Basketball. The team reserved him with the Bird Rights for the current season. As per the recent statistics, Dirk Nowitzki will earn $7,974,482 yearly salary in the 2014-15 NBA season and will also earn $8,333,334 yearly salary in 2015-16 NBA season from the team. He is also having a guaranteed income of $16,307,816 in the upcoming seasons. Chris Paul is presently playing as a point guard in the National Basketball Association for the Los Angeles Clippers team. He was drafted as the 1st round 4th overall pick by the New Orleans Hornets in the 2005 NBA Draft. He is now having a NBA listed height of 6 feet 0 inches and listed weight of 175 lbs. 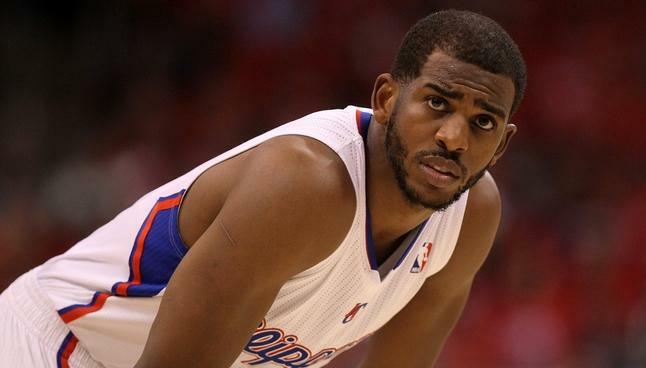 Chris Paul earned $18.7 million salary from the team and $4 million from various endorsements which cumulatively earned him a total of $22.7 million in the 2013-14 season of National Basketball. The team reserved him with the Bird Rights for the current season. As per the recent statistics, Chris Paul will earn $20,068,563 yearly salary in the 2014-15 NBA season and will also earn $21,468,696 yearly salary in 2015-16 NBA season from the team. He is also having a guaranteed income of $64,406,087 in the upcoming seasons. Other renowned basketball players such as Chris Bosh and Joe Johnson also deserve to be mentioned in the list of the highest paid basketball players 2015. Joe Johnson has obtained $23,180,790 yearly salary for the 2014-15 NBA season, while he has also secured a guaranteed income of $48,075,653 in his hand. Bosh, on the other hand, earns a yearly salary of $20,644,400, with $118,705,300 worth of guaranteed income.